So, this is the first fiction book that I am reviewing. I’m not sure that I’m going to make a habit of it or not, we’ll just have to wait and see I guess. However, this was another Christmas book (thanks mom!) and I have read both The Birth of Venus and In the Company of the Courtesan by Sarah Dunant as well. I love books that teach you about history using a fictional character to tell the story in a human way and this book doesn’t disappoint. The story in this book is a bit of a harder sell than the other two books I’ve read of hers simply because it is mostly about the politics of convent life in Italy in 1570. There aren’t the rich descriptions of the day-to-day life of the city because the nuns, for the most part, were cut-off from it. Letters and the occasional visits from family were the most that these women got. 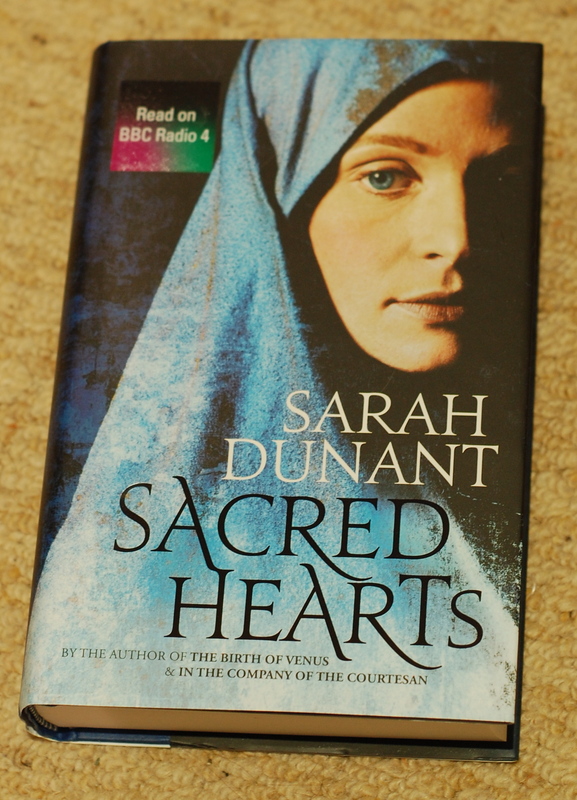 It’s not surprising that Sarah Dunant went in this direction with this book, in the previous books, she makes it clear just how many well-bred women ended-up in nunneries against their will due to dowry pressures. However, the setting of the book causes it to drag in places. I found myself thinking, “enough with the descriptions of the kinda boring nunnery, move on the story already” but in the end, she does manage to pull through the story.